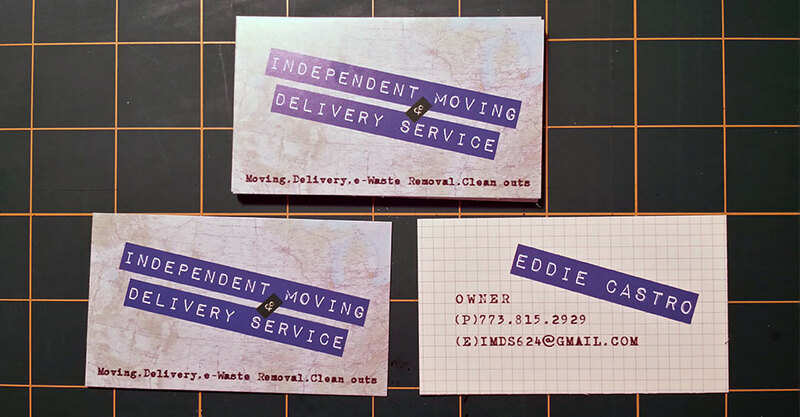 Business Cards: Independent Moving & Delivery Service | That Girl Shines Services Inc.
Design Challenge: A local mover started freelancing moving services and is currently working by word of mouth. He needed business cards to pass out when meeting clients from Craigslist. 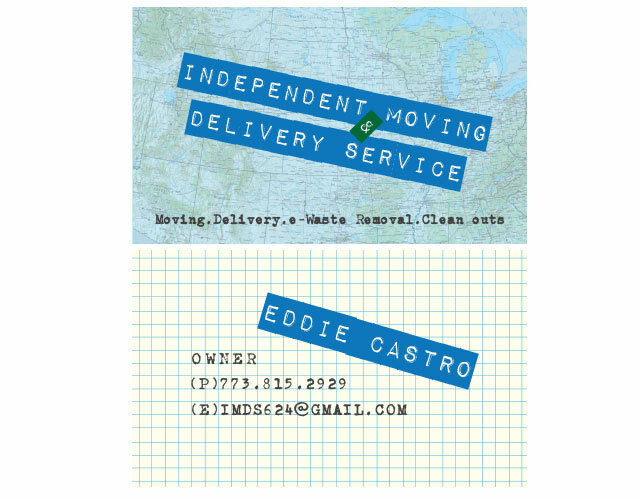 Design Goal: Providing both local and long distance moving services as well as delivery, e-waste removal and clean outs, we created a business card using blue and green to indicate recycling and the earth. A map of the continental U.S. shows no distance is too great. The overall retro look of the map, Dymo label font, the typewriter font and graph paper give a nod to the DIY ethic of this business owner.